Suite 115 is a deluxe one-of-a-kind ground floor end unit. 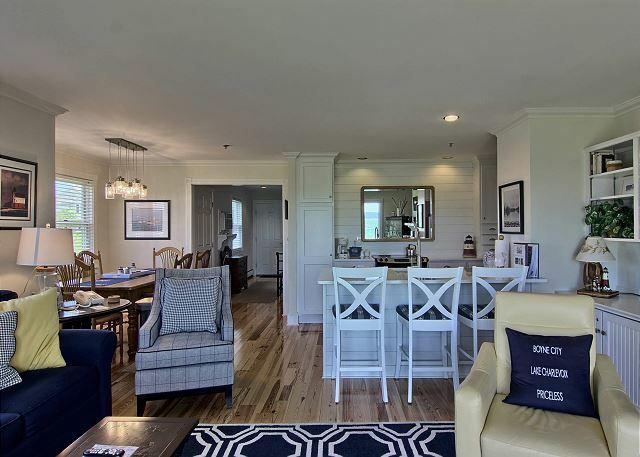 This tastefully decorated condo has breathtaking views of Lake Charlevoix. 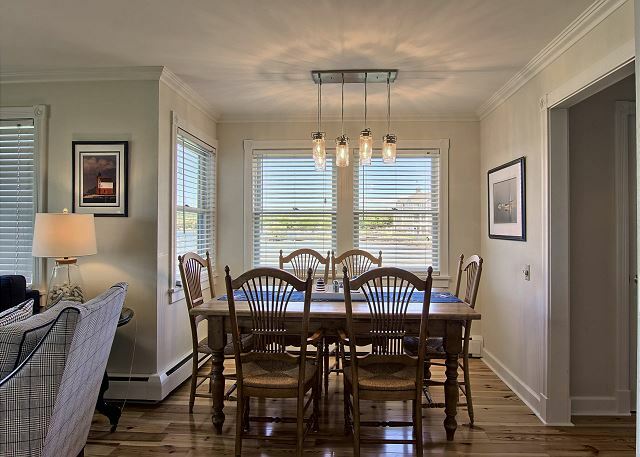 The beautiful hardwood floor throughout really adds to the beachy feel this condo boasts. It has a fully equipped kitchen including a full size oven all ready for preparing in-suite meals. Suite 115 offers one bedroom with a king size bed, flat screen TV, built-in cabinets, and a large bathroom with a walk-in shower. The dining room has a full size dining table with an extra view of the city. The living room has a queen size sofa sleeper, gas-log fireplace, and flat screen TV. The sliding glass door opens to a private patio where you can walk out to our private sandy beach, just a few steps away from downtown. Everything was great from making reservations,to the accommodations to check out. This property was perfect for our ski weekend getaway at Boyne Mountain. It is just as beautiful in person as the photos show. Also within walking distance to many great restaurants. Highly recommend and would gladly rent again. I stayed over the Thanksgiving holiday and was treated like a queen. The condo was clean, inviting, comfortable, great view (I had an end unit, so could look out both the front and side. Watched the ducks, and a rabbit that came by in the am & pm. Also liked the coded locks, as was easier to enter then with a key. Staff was friendly, kind and helpful. Would recommend it to anyone, great place to stay. Water Street Inn is such a wonderful place to stay. This was our second year and we plan on staying with them yearly. Nicole is super to book with. Excellent dining options just steps away. You really don’t even need your car once you’re there as everything is easy walking. Just love this place. Clean,quiet and friendly staff. Condo was beautiful! Very clean, very spacious, beautifully decorated and very comfy. Loved being within walking distance to town and restaurants. My son was married right there on the lake. It was nice to be able to get ready and then just walk over to the wedding. Oh, and the sunset from this unit is BEAUTIFUL! Lovely condo! Thoroughly enjoyed the beach too! Boyne City is a quaint town that is very enjoyable. A suggestion to the complex would be to upgrade to central air from window air conditioners which are a bit noisy. The condominium grounds are impeccably maintained and the overall experience was wonderful. I highly recommend the Water Street Inn. Beautifully decorated and great location! Bed was very comfortable as well. We love the Water Street Inn, situated on Lake Charlevoix and featuring great views (think sunsets) from each unit. We love Boyne City, much quieter and more down-to-earth than, say, Charlevoix or Harbor Springs, but still featuring lots of shops and restaurants (think Cafe Sante). And we absolutely love Unit 115 at the WSI! It is bigger (an end unit), brighter (more windows) and upgraded and remodeled to perfection (think HGTV). Pleasant decor and accommodations; however, the mattress was terrible. After the first night, it caused sore backs and poor sleep. It was wonderful. Clean. Comfortable. We enjoyed the view. The water. The sunsets. And most of all, spending time with our family. The staff was great ( Nicole ) and the condo was lovely. The decor was very relaxing and comfortable. Best of the candy/ice cream shop a short walking distance away. The view out the sliding glass door from the condo is spectacular. We love this little spot right on lake Charlevoix! Always so perfectly clean and just the right size for our family. We had a great stay in a beautiful unit. We have been coming to the Water Street Inn for years and one of our favorite units is 115. It has been recently renovated and is even nicer than before. It is on the ground floor which is convenient and it is also an end unit with more windows and more room. The view onto Lake Charlevoix and the sandy beach is lovely. Watching the sun set each evening is a must! The property is clean, there is housekeeping service, and the front desk employees are great. I recommend the WaterStreet Inn and unit 115 very highly. 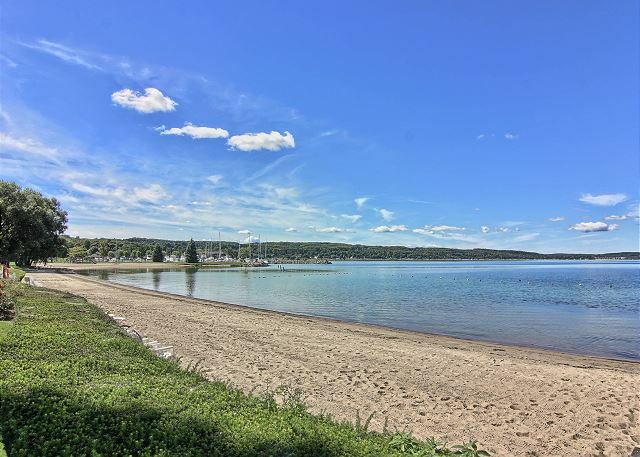 Close to Petoskey and Petoskey State Park, Young State Park, Boyne Mountain, zip lining, paddle board rentals, Cafe Sante (right around the corner), Beach House Restaurant on Deer Lake, and many other attractions. We love that you can rent a condo like a hotel room without restrictions on the number of nights. We wanted a quick getaway and this was perfect! Absolutely loved this place. Very clean and so convenient to everything anyone could need. Don't even need a car once you're there. Many very good restaurants just out the door. Will definitely be back. 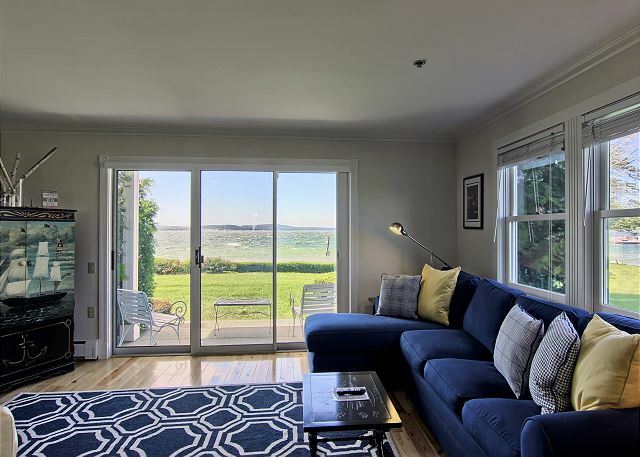 Amazing views of Lake Charlevoix and marinas! Beautiful condo end unit, with tons of windows and views of the lake and marinas. Quiet, felt very private although it was a condo unit. We would definitely stay here again. The only downside was that the bed was very uncomfortable. Water Street Boyne City a rare "find"
This was our second annual summer week long getaway in this unit. 115 is beautiful, more spacious than my in-law's unit next door, and had VERY fully equipped kitchen. Our family of four (kids 3 and 5) loved walking out to the beach and making breakfast and lunches in the room. We were even able to sit out on the beach while the kids napped! This place is extremely clean, people are wonderful. Downtown Boyne is a intimate but has everything you need. Don't miss the Farmer's Market every Wednesday and Saturday a short walk away. Take the ferry to eat at Landings- so fun! 25 minutes to Petoskey and all it has to offer. Very spacious 1 BR unit with a well stocked kitchen. Comfortable, quiet with a stunning view. Would request this unit again. Getting in one last ski trip of the season. There was no room at the resort, so we thought we'd try this condo. It was perfect. We lucked out and had a couple of sunny days. The sunsets were gorgeous. And the lake was freezing over while we were there. Which was really fun to see. Thanks for a great stay. And the folks at the front desk were as helpful and nice as could be! Very close to skiing. The property was so much nicer than we could have imagined.